Geneva School of Boerne is pleased to partner with the National Christian Foundation in order to expand the opportunities to financially support our school. National Christian Foundation is a grant-making foundation of donor directed funds. We have established four separate fund accounts through NCF that support the school’s Capital Campaign, Teacher Endowment, Booster Club and Financial Aid Program. Click here to give to the school’s “Area of Greatest Need.” This is typically a project(s) identified by school leadership (Head of School and Board of Trustees) that requires funding outside the school’s annual operating budget. For 2018-2019, this includes technology upgrades in classrooms across grade levels and security equipment (door access and surveillance cameras) for the new Grammar School buildings. *In accordance with IRS Publication 526, contributions made to Geneva’s Financial Aid Program are tax deductible. However, contributions set aside for use by a specific person, such as scholarship or grant donations for the tuition of a named student, are not deductible for tax purposes. If you have questions, please consult your tax professional. While some may be familiar with the idea of donor directed funds, we recognize that many are not. The Q&A below is designed to provide information and instructions on how to use this tool provided by NCF. What is a donor directed fund and how does it work? With a donor directed fund, you (the donor) make a donation to the foundation (NCF) and direct the gift to a particular charity (Geneva School of Boerne).  If you desire to give to Geneva online and/or set up recurring donations, you will click on one of the links above. You will be directed to a page that allows you to set up payments to Geneva School of Boerne’s fund at NCF. How is this different than if I just wrote a check to Geneva? The biggest change for you instead of writing a check is that your donation will go to Geneva through the National Christian Foundation, and your tax receipts will come to you directly from them. But wait! I want my gift to go to Geneva School of Boerne! It will come to Geneva School. When you make a donation to Geneva’s fund at National Christian Foundation, we receive the donation as a donor directed fund. NCF just handles the administration of your gift. We receive all the documentation of donations/donors so that we can keep track of pledge fulfillment as well as donor acknowledgements within our business office. Establishing a fund with NCF allows us to expand giving opportunities to include non-liquid gifts such as stocks, business interests, land and other appreciated assets. There is also an opportunity for completely anonymous giving for those who desire to give in that way. Partnering with NCF has enabled us to grow the ways that donors can give without increasing our school’s operating costs. It is a win-win situation. Does Geneva pay a fee for this? Yes, but it the cost is very small. For liquid gifts, the administrative cost is based on the average daily balance at an annual rate of 1%. Because we will generally not leave money in our fund, that cost will be 1/12 of 1% of the gift (we transfer the balance to Geneva’s bank accounts bi-monthly). What about credit card fees? Should I use the echeck option? NCF has negotiated very competitive credit card processing fees. The fees are as follows: American Express 3.1%, Discover 2.2%, Master Card 2.5% and Visa 2.5%. The better option for Geneva is for donors to choose the eCheck option. We pay no processing fees for this type of transaction through eCheck. You will be given a receipt for the full amount of your credit card or eCheck contribution. Can I still just give the "old fashioned" way by writing a check?